The following article was carried in the London Daily Telegraph of April 24, 1995. The article did not correctly discuss the subtle future. That tomorrow would see differences between the Raymond L. “Ray“ Wallace (April 21, 1918 − November 26, 2002) track fakes, left after the earlier Jerry Crew tracks. But they tried to get the essence of the talk. 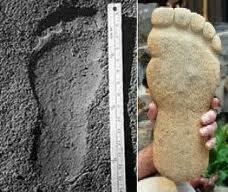 LONDON : The existence of “Bigfoot,” a Yeti-like humanoid creature whose giant footprints were said to have been found in America, was probably an elaborate hoax, according to new research. The tracks, measuring 40.5cm by 18cm, could have been made by a “foot” carved from wood, suspended from cables and pressed into mud. 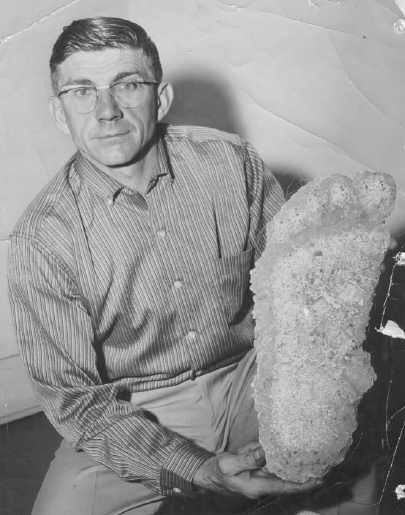 The Bigfoot phenomenon, which spawned a commercial culture in America that includes Bigfoot pizzas and special snow skis, began in October 1958 when a team of road builders took a plaster cast of a footprint they claimed was found at Bluff Creek, 32km north of Klamath, California. Photographs were published around the world and several Cryptozoologist — people dedicated to researching the existence of such creatures as the Abominable Snowman – began detailed investigations. However, Loren Coleman claims Bigfoot was a prank played on the men by their boss, Ray Wallace. In a paper presented to the Fortean Times UnConvention 1995 at the University of London, he said previously unpublished letters from researchers threw doubt on the theory a Bigfoot ever walked in Bluff Creek. Another Bigfoot hoax was aired in 1982 when retired Washington State logger Rant Mullens claimed he had spurred the legend of the Bigfoot of Mt. St. Helens by carving wooden feet to leave large footprints. Coleman said the circumstances of the Bluff Creek discovery had never been seriously examined before. Zoologist Ivan T. Sanderson, who spent much time researching Bigfoot, interviewed all parties concerned in the find. 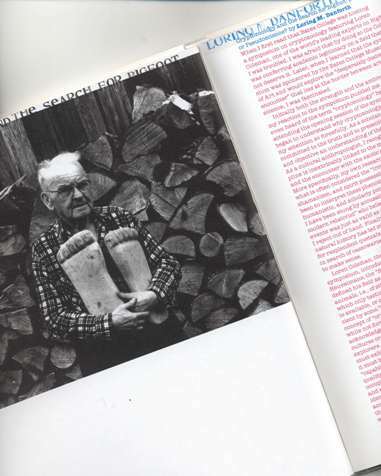 While never publicly expressing doubts about the authenticity of the footprints, he did in private letters. The Jerry Crew 1958 cast. 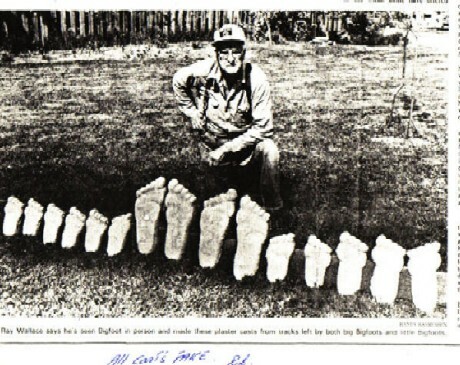 The Bigfoot legend was born when construction worker Jerry Crew discovered the footprint and took a plaster cast to his local newspaper office. Men working at nearby Mad River said they too had seen the prints. Later, it was discovered these workers were also employed by Mr. Ray Wallace. Hair and droppings purportedly from Bigfoot were later proved to be from a moose. The Wallace casts then turned up. 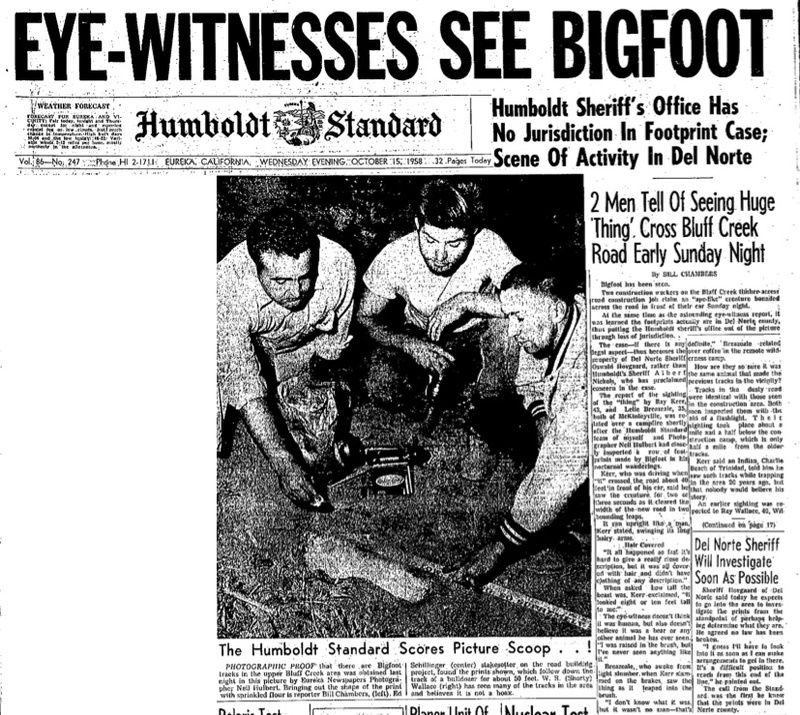 Nice article, although they make it seem as though Loren Coleman is a bigfoot skeptic, and dismisses the whole phenomenon as a prank, which we all know not to be the case.